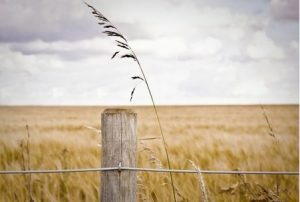 A Lasting Fix: Fixed Knot Fences a Great Farm Option | All Around Fence Co. Inc.
Are you a farmer looking to replace fencing around your property or add a new fenced-in area with one of the strongest, most durable types of fencing on the market? If so, All Around Fence has an excellent option for you. Fixed knot fencing is a type of woven wire fencing that is preferred by many farmers and livestock ranchers. It’s known for being incredibly strong and superior to other types of agricultural fencing in many ways. Stay-Tuff fixed knot fences in particular are designed to help you control your livestock more efficiently and to last significantly longer than your other fencing options. There are a number of benefits that will come along with installing a fixed knot fence for your farm. The first and most important benefit is that fixed knot fences are created using sturdy wires aligned in a square grid pattern to add strength to your fence. Unlike other fencing options, fixed knot fences won’t shift or sag over the years due to tension or damage from animals or weather conditions. Another great benefit is that fixed knot fences are usually anchored by heavy-duty posts that are approximately five to six inches in diameter and driven deep down into the ground to hold your fence steady. 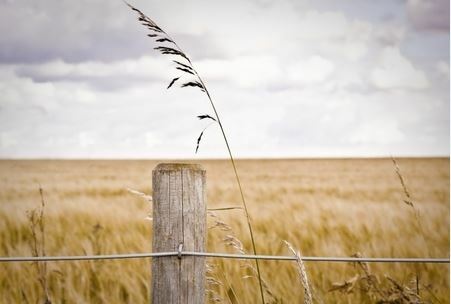 These sturdier posts mean that Stay-Tuff fixed knot fencing can also use about 40 percent fewer posts than traditional barbed wire fences, making installation much simpler. Plus, with durable, heavy duty galvanized metal construction, these fixed knot fences won’t warp or lose their shape over the years, so you can count on them for years to come. Even the animals that you keep on your farm will love the Stay-Tuff fixed knot fences that All Around Fence has to offer. Our fences are known for doing less damage to animal’s hide than other fences, and your cattle won’t be able to stick their heads through these fences, which will cut down on the number of injuries they suffer due to your fencing. So what are you waiting for? If you are in the market for new fencing for the animals at your farm, call All Around Fence at 724-439-0331 today or stop in and see us to learn more about how our fixed knot fencing and other farm fence solutions to find the right option for you.